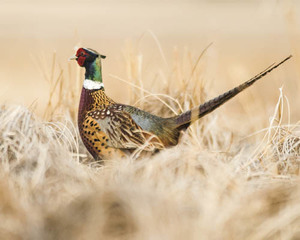 The Nebraska Game and Parks Commission will release rooster pheasants at 14 wildlife management areas in time for the Thanksgiving holiday weekend. The 14 areas are: Oak Valley (Madison County), Wilkinson (Platte County), Sherman Reservoir (Sherman County), Pressey (Custer County), Branched Oak (Lancaster County), Yankee Hill (Lancaster County), Twin Oaks (Johnson County), Hickory Ridge (Johnson County), Cornhusker (Hall County), Peru Bottoms (Nemaha County), Kirkpatrick Basin North (York County), Schilling (Cass County), Arrowhead (Gage County), and George Syas (Platte County). Kirkpatrick Basin North, Schilling, Wilkinson and Peru Bottoms are non-toxic shot only, but otherwise all normal regulations apply. The pheasant season runs through Jan. 31, 2018. 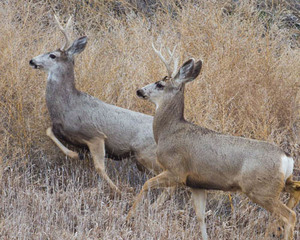 Permits, including the nonresident two-day hunt permit, may be purchased online. The nonresident two-day permit is valid for any two consecutive days of upland game or waterfowl hunting during the calendar year. Applicable stamps must be purchased. Firearm deer hunters can look forward to another great weekend in the field, as the season lasts through Sunday, Nov. 19. Success was high during the opener last weekend. Despite rainy conditions across much of the state on Saturday, Game and Parks staff saw successful hunters and high youth participation. They checked in nearly 19,000 deer. Read more about the opener at our website. Statewide buck deer permits are still available for the November firearm season, as well as antlerless season choice permits. Permits may be purchased online or at any Game and Parks permitting office. In addition to great deer opportunities, the fall turkey season is still going strong, extending through Jan. 31. Nebraska has been called one of the nation’s best destinations for turkey hunting, offering high species abundance, plentiful and affordable permits, long seasons, great public access and $8 permits for youth. Get your permit at our website. This year, give someone you love the opportunity to spend time outdoors and make memories all year long on fishing trips, weekend camp-outs or early morning hunts. State park, fishing and hunting permits can be ordered online or purchased at any of our offices, making your holiday shopping easy. 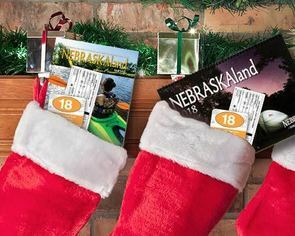 NEBRASKAland Magazine subscriptions — as well as the stunning 2018 NEBRASKAland calendar — also make a great gift. Save money by choosing our holiday gift combo option. Our full holiday gift shopping guide is available at our website. A tree stand is a basic tool of many archery deer hunters. The Nebraska Game and Parks Commission urges hunters to use the equipment safely in order to have a memorable and successful hunt. — When climbing, maintain three points of contact with the tree stand ladder or climbing steps at all times. — Use a haul line to get your equipment up to and down from the tree stand. — Before using a tree stand, check for metal fatigue on all joints and welds. Check metal stands for rust and wood stands for rot. Make sure there are no missing bolts and nuts, and inspect for deterioration due to age or poor storage conditions. Check nylon straps, which may show signs of rot or chewing from mice or other small critters. — Always tell someone where you’re going hunting and when you plan to return.